The Department of Homeland Security has issued updates to the regulations on extensions of Optional Practical Training (OPT) for foreign nationals on student visas with STEM degrees. The new rules will take effect on May 10, 2016. Last updated on March 14, 2016, By Ari Sauer. 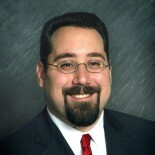 This entry was posted on March 14, 2016 by Immigration Lawyer Ari Sauer - The Immigration Answer Man in Employment Authorization, Nonimmigrant Visas, Optional Practical Training (OPT), Student Visa (F-1), Studying in the US, Work Authorization and tagged EAD, Employment Authorization, OPT, Work Authorization.